Our Guiding Principles define our culture -- why we exist, what we aspire to be, and the work that we do each day. Our Values provide a roadmap to excellence. They serve as a reminder that we achieve excellence and success together. New in 2018 are our Values in Action -- the behaviors that are meant to bring our Values to life through actions. 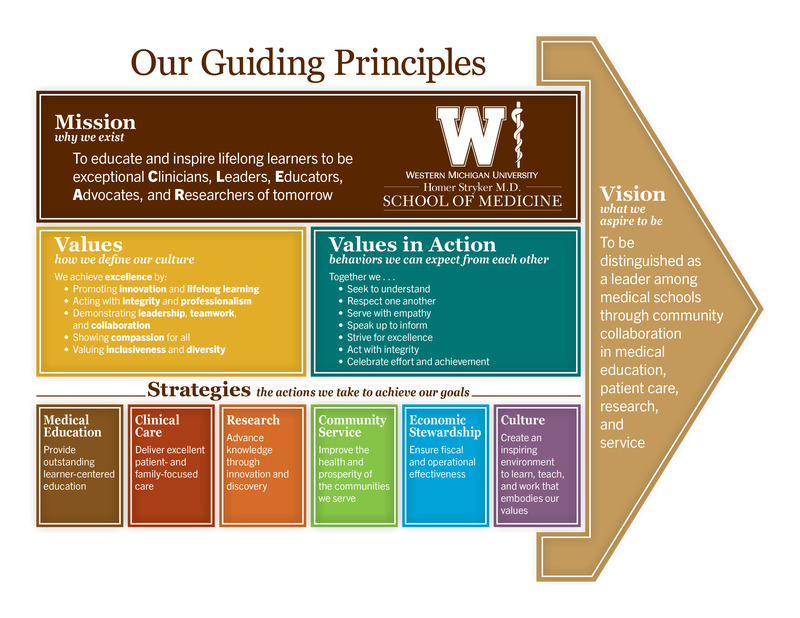 Our Values in Action reflect who we are together as an institution because they are the actions that will benefit our patients, our learners, and our colleagues, and make WMed a better place each day. The planning process to develop the medical school's strategic plan was approved by the Board of Directors in February 2012. As a new medical school, the theme of our inaugural 2014-18 strategic plan was development and implementation of new programs, services, curriculum, facilities, partnerships, and processes. Together, we have accomplished significant milestones and achieved our many "firsts" as a new institution. 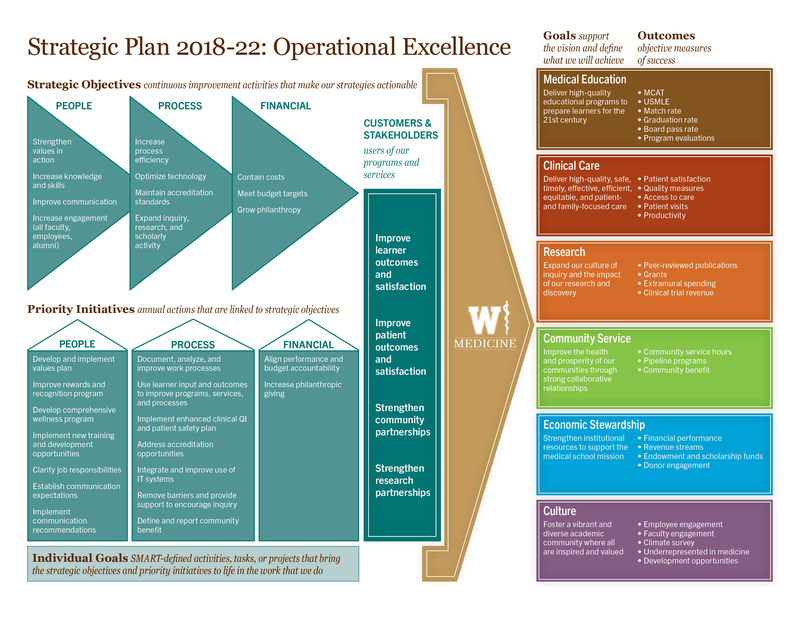 Our new 2018-22 strategic plan is focused on operational excellence and becoming even better. Our annual actions build upon the strong foundation we have created while emphasizing improvement, efficiency, and delivering even better programs and services to all that we serve. To ensure that the strategic plan is accomplished, the objectives and actions are incorporated as the annual performance goals for the individuals, departments, programs or teams who are responsible. On a quarterly basis, a strategic plan status report is reviewed by the Strategic Planning Leadership Team to ensure the organization is on track and making progress. Regular strategic plan updates are provided to the Board of Directors.